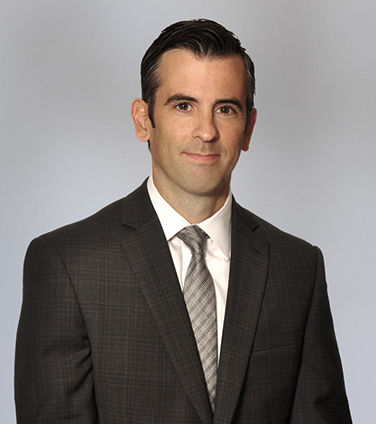 Craig has extensive experience in class proceedings, product liability matters, securities regulation, commercial banking litigation and pension litigation. He also has significant experience with corporate arrangement transactions under the OBCA and the CBCA. Craig has appeared at all levels of the Ontario, Quebec and New Brunswick courts, and has appeared at the Supreme Court of Canada on multiple occasions. Craig is a key contact for the Osler Product Liability and Food Products Practice Group, as well as Chair of Osler’s Student Committee (Toronto). Participated in a special committee investigation of a major publicly traded company in response to proceedings commenced by domestic and international securities regulators. Represented a Canadian commercial bank in the context of national class proceedings brought in respect of credit card fees. Represented a Canadian financial institution in the context of a commercial lending dispute. Represented an international pharmaceutical company in respect of a product liability class proceeding. Appeared before the Ontario Securities Commission in the context of various shareholder disputes. Represented a Canadian commercial bank in the context of multi-jurisdictional litigation relating to allegations of investment fraud. Appeared before the Supreme Court of Canada on behalf of a major Canadian pension fund in respect of a pension surplus representative proceeding. Intervened at the Supreme Court of Canada on behalf of the Canadian Bar Association in the Blood Tribe appeal. Represented publicly-traded Canadian companies with respect to regulatory investigations pertaining to option grants. Webinar: So You're Faced with a Class Action, Now What? Director & Officer Liability: Common Law Liability and the Oppression Remedy, Commercial Litigation and Arbitration Review, Vol. 5, No. 2, cited as C.L.A.R., May, 2016. Defamation and the Internet: Baglow v. Smith, Osler Insights, June 20, 2012. Re-Arranging the Arrangement Landscape:The Implications of Re Magna International Inc. (C. Lockwood and L. Tomasich), Canadian Bar Review, Vol. 89, No. 3 (2011). The Derivative Action: The Evolving Test for Leave and the Role of Business Judgment, Canadian Institute Securities Litigation Conference, April 20-21, 2009 (co-authored with Chris Naudie and Denise Sayer). Waiver of Tort: Its Place in Class Proceedings, The Canadian Institute's Forum on Product Liability and Recalls, May 28, 2008 (co-authored with A. Gatti). Increasing Risks For Directors, Officers and Auditors: Avoiding Liability in Today's World of Accountability, The Canadian Institute’s 4th Annual Advanced Forum on Securities Litigation, November, 2004 (with David S. Morritt). Contributing Editor of the Commercial Litigation Journal (Federated Press). Bullen & Leake & Jacob’s Canadian Precedents on Pleadings (2nd Edition), “Corporate Pleadings” (w/ L. Lowenstein and R. Carson). Completed the Osgoode Professional Development programs in (i) Intensive Trial Advocacy and (ii) Written Advocacy.